BancNet’s eGOV facility is a web-based electronic filing and payment facility for corporate clients to perform online filing and settlement of government contributions and loans through PNB as a member-bank. These cover SSS, Philhealth and Pag-Ibig contributions and SSS and Pag-ibig loan payments. BancNet has officially deactivated SSSNet in August 2015. The facility has since been replaced by eGov. 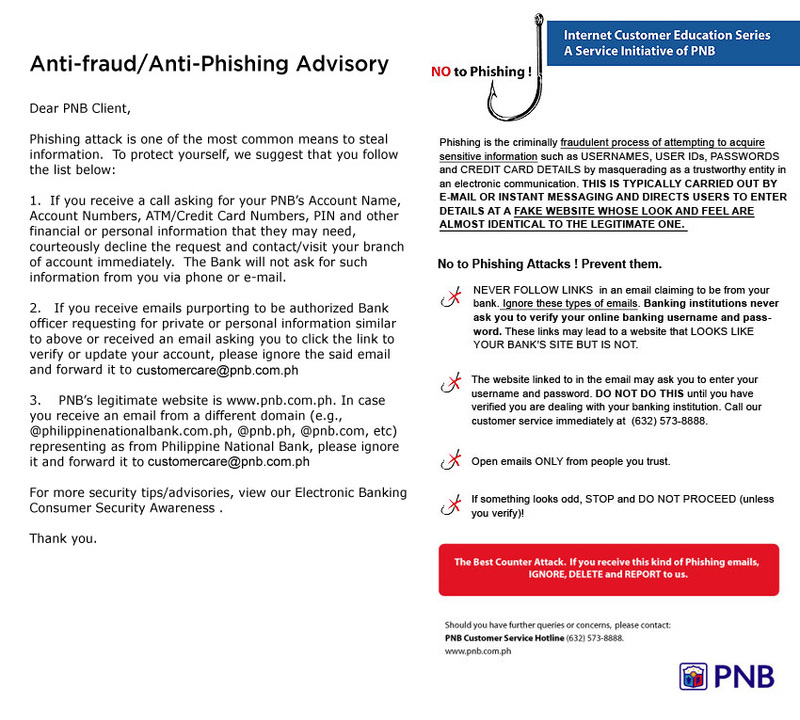 For inquiries about eGov, please contact your PNB branch of account. You may also reach out to PNB Corporate Care at (632) 573-8888 [choose option 2] or email corporatecare@pnb.com.ph. Open an eGOV account at your nearest PNB Branch. Sign-up as new corporate member and fill up all required fields for corporate information, card maintenance, agency maintenance, corporate profiles to designate your Corporate Administrator, Maker, Checker and Approver. Refer to the eGov User Manual for step-by-step procedures. Use the file converters* to create the payment file per agency. Upload the payment files in eGov. For SSS, you may also upload Employee Pre-validated File and Employee Validated File. *The file converters are downloadable from the link that will be provided to you by your PNB branch. Corporate Approver authorizes payment through use of the virtual ATM PIN. What is BancNet’s eGOV system? eGOV stands for Electronic Government System. A facility developed using the functionalities of BancNetOnline, an internet-enabled e-Payment System which allows processing of SSS and PAG-IBIG contributions and loan transactions, Philhealth contributions coursed by member banks’ depositors which are also members of said government agencies. Who are the government agencies participating in eGOV? eGOV is available to existing and new corporate clients of PNB. Are there requirements before using eGOV? A corporate client of any size, be it small, medium or large, interested in using eGOV to file and pay monthly loans and contributions should first be an existing employer-member of SSS, Philhealth and Pag-Ibig. The second requirement is that the corporate client needs to open a virtual ATM account with PNB, before enrolling in eGOV. What can be done in eGOV? SSS – filing and payment of contributions and loans. Philhealth – payment of contributions. Pag-Ibig – filing and payment of contributions and loans. Note: Filing of SSS Employer LCL files with zero payment amounts should be done in SSS Loans Repayment System, including generation of the employer’s SSS Billing LCL. Is there a specific file type / file format for uploading an SSS, and Pag-Ibig loans and contributions file in eGOV? The corporate client is requested to coordinate with your respective branch of account or bank contact, for the file type / file formats of SSS, and Pag-Ibig, acceptable in eGOV. How can we access eGOV? eGOV can be accessed using the following internet browsers: Internet Explorer, Mozilla Firefox or Google Chrome. eGOV’s url address is: https://www.bancnetonline.com/egov/login.egov. When is eGOV available for access / use by corporate clients? eGOV is available 24/7, locally and overseas, accessible using an Internet browser. Does eGOV have a cutoff time? Even though eGOV is available 24/7, any payment of monthly contributions and loans made on a weekend (Saturday or Sunday) shall be accepted and treated as payment on the next banking day. Any payment of monthly contributions and loans made on a weekday shall adhere to BancNet’s internal cut-off period of 12 AM, which means that any payment on a weekday made after 12AM shall be treated as payment made on the next banking day. What are the responsibilities per corporate user in eGOV? Corporate Admin – is responsible in setting up / registering the corporation and users in eGOV. Corporate Maker – is responsible in the preparation and uploading/filing of government contributions and loans in eGOV. Corporate Checker – is responsible in validating/authorizing the uploaded government contributions and loans filed in eGOV. Corporate Approver – is responsible in approving for payment the uploaded government contributions and loans filed in eGOV. How can we make payments for monthly contributions and loans in eGOV? The corporate client’s designated Corporate Approver can initiate payment for monthly contributions and loans filed in eGOV by inputting the PIN of the virtual ATM card number given by its branch of account. The corporate client is recommended to coordinate with its branch of account before registering in eGOV, including its application/request for a virtual ATM card for eGOV usage. Is there a limit to the number of users who can access/use eGOV? A corporate client can setup unlimited number of Corporate Makers and Corporate Approvers per government agency module and up to a maximum of nine (9) for Corporate Checkers. Is registration required for every government agency module in eGOV? Corporate registration in eGOV is only done one time and corporate clients need only to activate the government agency module they choose to use. What schedule do we follow when filing and paying SSS, Philhealth, and Pag-Ibig contributions and loans in eGOV? The corporate client should still follow its existing schedule with SSS, Philhealth and Pag-Ibig. A visit to the corporate client’s SSS, Philhealth, and Pag-Ibig branch is recommended, should there be clarifications. Every 15th of the month. Payments for ST (or Term Loans) and CL (or Calamity Loans) has only one payment schedule date which is every 15th of the month. Who do we call for any eGOV issues/complaints? The corporate client’s primary contact for eGOV-related issues/ complaints is its branch of account. Are there eGOV-related documents that we can read/use for reference? The eGOV Corporate User Manual may be accessed through PNB’s website. Similar to EDI-SSSNet, does SSS acknowledge loan payments/ contributions made in eGOV? Yes. SSS acknowledges contributions and loan payments made in eGOV. Can I edit/change the company’s SSS employer number, erroneously entered in eGOV? Temporarily delete the SSS profile linked to the setup corporate users. This can be done in the Maintain Corporate Users section. Temporarily delete the card number mapped/linked to the SSS profile. This can be done in the Maintain Card-Profile Mapping section. Temporarily delete the SSS profile. This can be done in the Manage Corporate EGOV Profiles section. Click the Remove Access button of the registered SSS agency in the Maintain Agency section. Click the Edit Corporate Information button, input the correct SSS employer number in the SSS No. field, then click the Save button. What can a company who still does not have any TIN number, but wants to file and pay monthly contributions and loans, use/input in the TIN Number field during eGOV registration? It is recommended that the company input the default dummy TIN Number of twelve (12) zeroes or 000000000000. Even though eGOV does not anymore validate the TIN Number in the TIN Number field during registration, it will not allow a blank TIN Number field to be submitted during eGOV registration. Can a wholly-owned subsidiary of a parent company use the same TIN Number of its parent company during EGOV registration? Yes, the wholly-owned subsidiary of a parent company can do so since TIN Number is not validated anymore in eGOV.